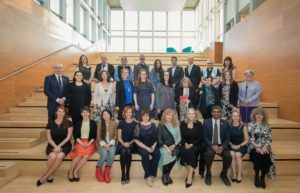 MFNERC, in 2016, partnered with the University of Calgary’s Werklund School of Education to create a unique cohort for First Nations students. Today, thirteen students are undertaking an adapted Master of Education in School and Applied Child Psychology designed by the two parties to address a shortage of First Nations school psychologists in Manitoba. This graduate program centres academic robustness and First Nations ways of knowing and practices. 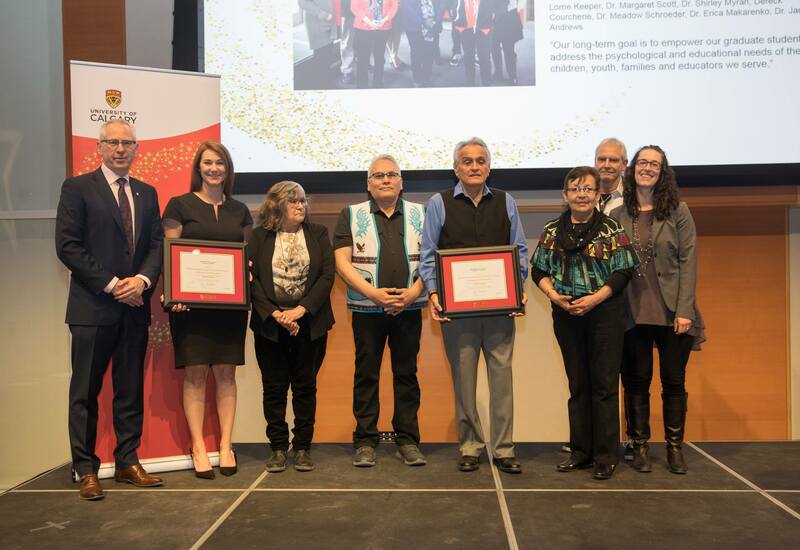 Reflecting both MFNERC’s commitment to First Nations in Manitoba, along with the University of Calgary’s commitment to reconciliation, this partnership is the first time in Canada—and only the second time in North America—that a psychology program has been adapted for First Nations students. The Centre congratulates Executive Director Lorne Keeper, Dr. Margaret Scott (PhD), Dr. Shirley Myran (PhD), and Derek Courchene for their trailblazing contributions. Recognition is also extended to Dr. Meadow Schroeder (PhD), Dr. Erica Makarenko (PsyD), and Dr. Jac J.W. Andrews (PhD), all from the Werklund School of Education. Congratulations! This entry was posted in Blog, Education, First Nations, News & Issues, Training Institute, What's New. Bookmark the permalink. Both comments and trackbacks are currently closed.